I think it was a summer morning, because I wasn’t in school, but maybe it was a Saturday or Sunday. I don’t remember. But I can remember how every morning my mother made breakfast for our family of five. Egg-in-the-middle (an egg fried in a hole of a slice of bread), maybe pancakes or French toast, sometimes cereal and fruit, but always with a percolator of Maxwell House on the stove. Of course, I was too young to drink coffee in the fifth grade — at the age of 10 — and my parents thought I already had plenty of energy. But on this particular morning, as I remember, I badly wanted a sip. So when my parents weren’t looking, I couldn’t resist. And truth be told, my pure taste buds found the drink totally repulsive. After that morning, I avoided coffee completely. It was only by the time Starbucks took over the planet that I came to appreciate that not all coffee tastes like Maxwell House. Today, we live in a world that loves a beautifully brewed cup of java. From family and cafe gatherings, to novelty cups that say “Keep Calm and Drink Coffee,” coffee is a fixture of our social landscape. With specialty coffee drinks more popular than ever, coffee drinkers craving the good stuff spend more time waiting around at Starbucks in the morning for a venti than they do for a beer or glass of wine at their favorite bar after work. Some love the smell of freshly brewed coffee so much that they would wear coffee perfume (or cologne) if it were available. Okay, I’m teasing, but you get my point. So after striking out as a child with a cheap coffee brand, it’s not too much of a reach — if it’s one at all — to say that I’m a coffee fanatic today. I’ve not only found that I can’t go a day without it, but I’ve also invested in my very own cappuccino maker. As I write this piece, glancing over at the perfect creamy cappuccino that sits to the right of my keyboard, a drink I made myself, I’m reminded of Tom Hanks’ line from the 1998 movie You’ve Got Mail. Whenever I think about that scene, I laugh. You’ve Got Mail may have been a fictional story, and $2.95 is way out of whack by today’s standard, but Hanks described (perhaps inadvertently) passionate coffee fans to the T. They don’t just drink coffee — they define themselves by it. Just this morning, I drove past a Starbucks at 8 a.m. sharp, and was not surprised to see a long line of cars backing up traffic into the intersection. Fortunately I have the ability to make coffee in the comfort of my home and don’t have to risk a scrapped fender navigating the tight turns of a Starbucks drive-thru. If there’s one thing the Starbucks junkie hasn’t figured out, it’s that in addition to making the ultimate cup of coffee (or the perfect espresso or cappuccino) a good home coffee maker with grinder saves time and money. That said, regardless of where we get our coffee, adults drink it for lots of reasons. To kickstart the day. To stay awake and alert. To stay healthy. And especially (for me) because we love it. But most people don’t drink coffee to extend their lifespan. They should. Modern scientific research has brought a lot of surprises about how good coffee is for us. We’ve learned that drinking a cup or more of joe along with daily exercise and healthy food choices will help us stay fit. Numerous studies link coffee to decreased risk of type 2 diabetes, prostrate cancer, heart failure and other ailments. The research all suggests that drinking coffee might help us live a better life. Given all that, you might be unsurprised to learn, then, that science now says life for coffee drinkers isn’t just better, it’s longer. According to a 2017 study published in the journal Annals of Internal Medicine, consumption of a few cups a day of coffee, compared to no coffee, was associated with a decreased risk of death. That’s consistent with previous studies of white populations. What’s different about this study, though, is that the researchers focused mostly on nonwhite populations, grabbing headlines in publications like CNN. The study comes out of the Keck School of Medicine of the University of Southern California. The researchers surveyed African-Americans, Native Americans, Hawaiians, Japanese-Americans, Latinos, and whites. Observing over 185,000 people, they found that those who drank 2 to 4 cups of coffee a day had an 18% lower risk of death than people who did not drink coffee at all. That these findings reflect the diversity of the population is significant. The USC statistics are heaven-sent for those of us who can’t go without our morning cup of joe, not to mention what they mean for Starbucks stock prices and home latte machine sales. Another study, also published this year in the Annals of Internal Medicine, likewise found that how much coffee you drink can play a big role in how long you live. In the largest study of coffee and mortality yet, researchers analyzed more than 520,000 people in 10 European countries for an average of over 16 years. When they crunched all the numbers, they found that the more coffee participants consumed, the lower their risk of death. Interestingly, the study found that the difference between the sexes was small but noticeable. 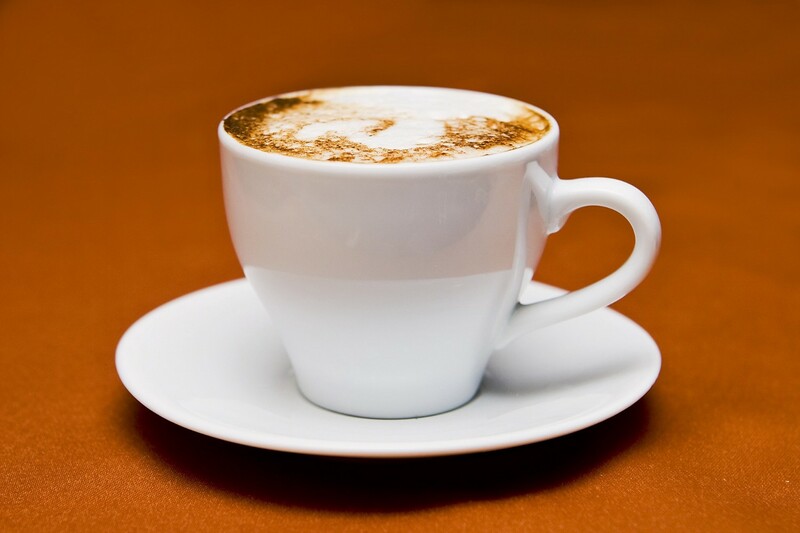 The top one-fourth (25%) of coffee drinkers in the study had 3 or more cups a day. Among that group, men were 12% less likely to die (compared to 7% for women) than comparable people who avoided coffee entirely. What these two studies tell us is that some of the most outlandish ideas about coffee (it’s been blamed for everything from impotence to madness) are just that — outlandish. Given that these studies are observational in nature, however, I should point out that they cannot prove that coffee caused a lower risk of death, only that coffee drinkers were less likely to die. But because the two studies are strong and consistent with each other, it seems that in the “is coffee good for you or is it not” debate, science sides with us coffee lovers. So while I shiver at the memory of drinking cheap coffee as a child, my tastes became more sophisticated when I hit adulthood. And that’s a good thing. Science says having developed a fondness for the good stuff could help me celebrate more birthdays. Did you try coffee as a child? How much coffee do you drink now? Let us know in the discussion below.